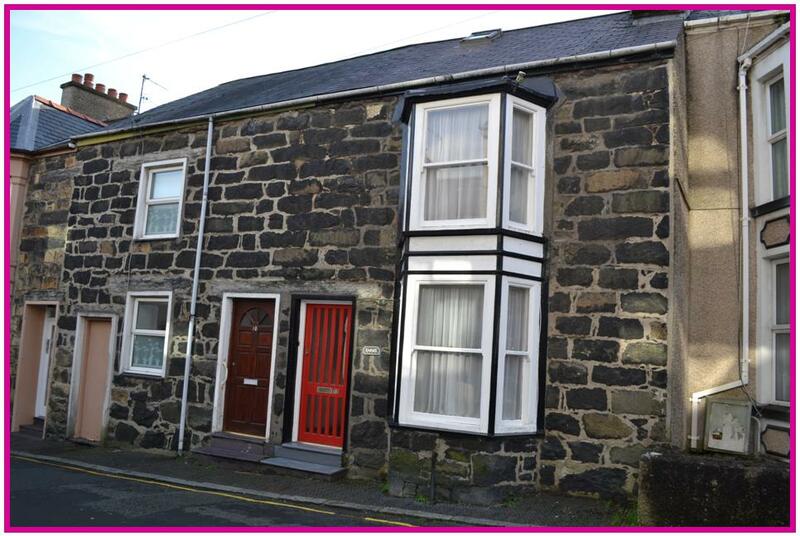 Rare opportunity to acquire a two bedroom mid terrace stone and slate house in the picturesque village of Pencaenewydd. Double glazed with electric storage heaters, and in need of modernisation. Outside there is a paved front forecourt and rear paved garden with mature shrubs and trees and a pedestrian rear access. Second floor one bedroom flat with attic space, located on a popular well kept residential estate, enjoying views over the harbour towards Borth Y Gest and benefiting from being double glazed. Outside - Allocated parking * Bin store. 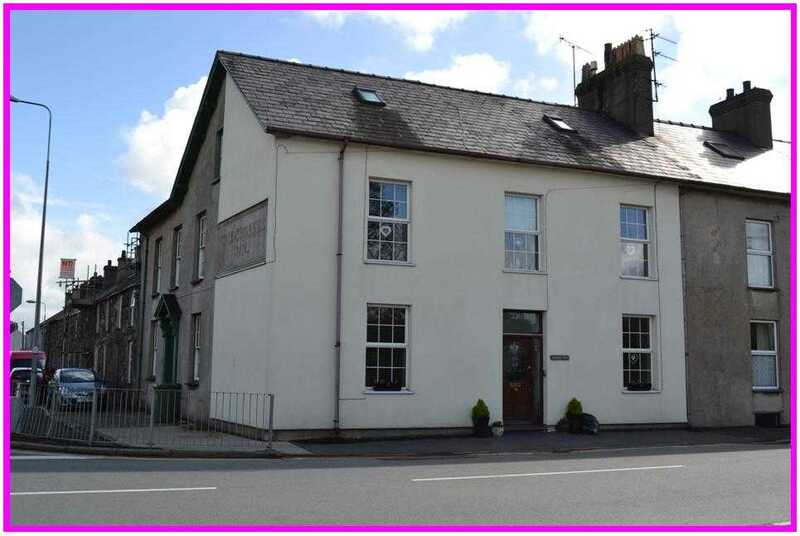 Mid terrace three storey, three bedroom house within easy walking distance of the town centre and all amenities. Benefiting from having gas central heating and a private rear lawned garden with mature shrubs, bushes and trees and a paved patio area. Ideal property for the first time purchaser and must be inspected to be truly appreciated. Cyfle i rhentu swyddfeydd ar y llawr gwaelod, cyntaf ag ail lawr. 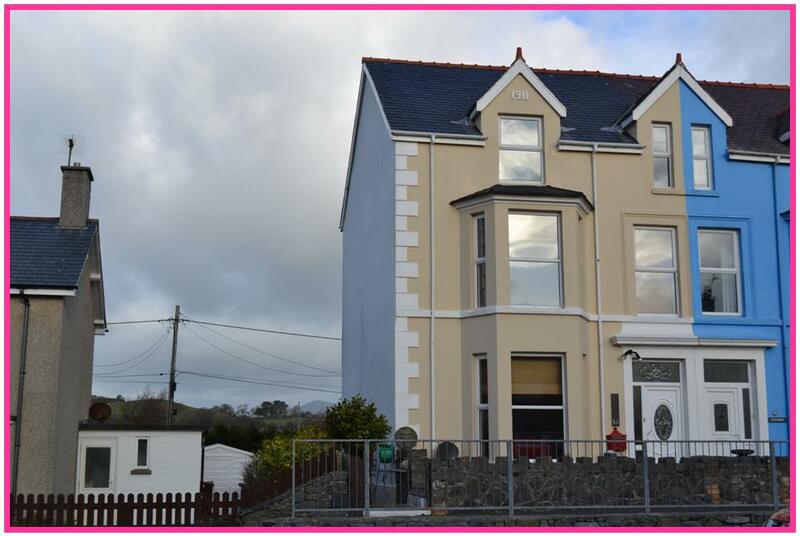 Very impressive semi detached five bedroom house in pristine decorative order throughout, offering spacious and well presented accommodation over three floors. Benefiting from being double glazed and gas centrally heated, with several original features such as deep skirting boards, coving, alcove cupboards, stripped floorboards and pine doors, all of which can only be fully appreciated by carrying out a full inspection. Outside there is a separate games room with balcony area above to take full advantage of distant countryside views and a decked patio area. Mid terrace deceptively spacious one bedroom house in immaculate decorative order throughout and well worthy of inspection. Benefiting from being double glazed with gas fired central heating. To the rear is a raised decked area. Ideal property for the first time purchaser. 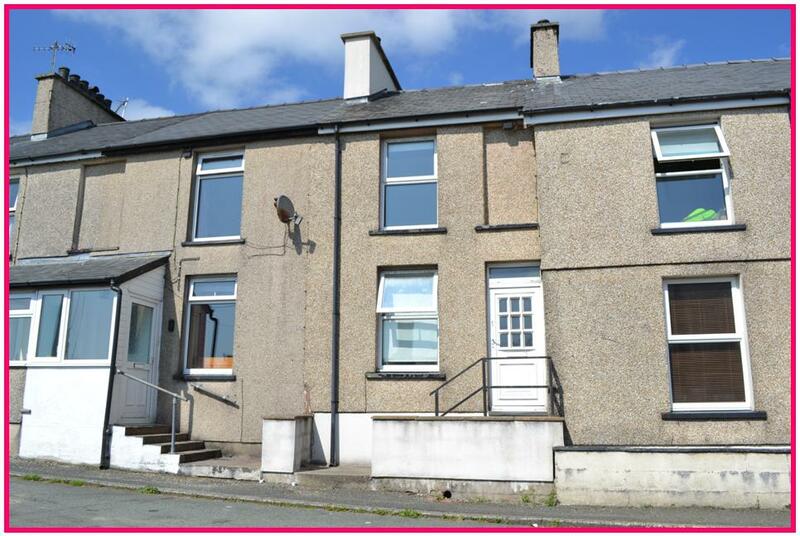 Rare opportunity to acquire a two bedroom first floor former local authority flat. 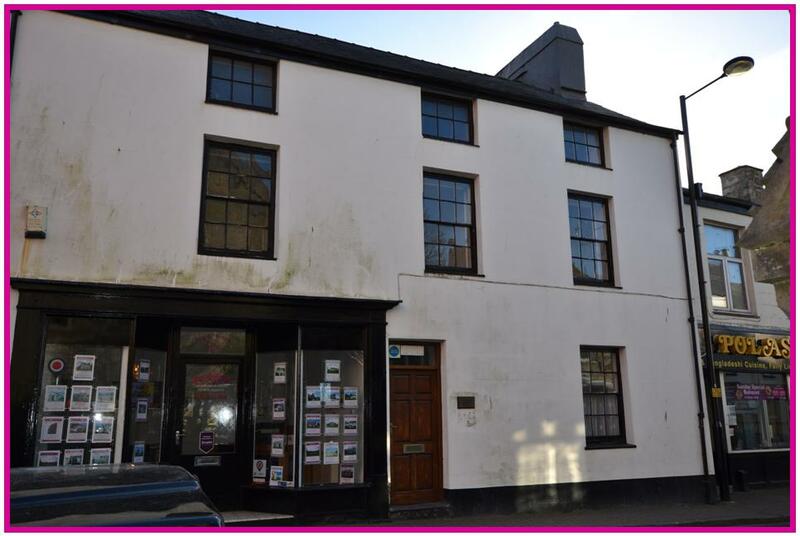 Ideal investment property being currently let on a shorthold tenancy. 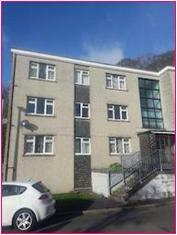 Communal hallway and landing * Entrance hall * lounge * Dining room * Kitchen * 2 Bedrooms * Bathroom. 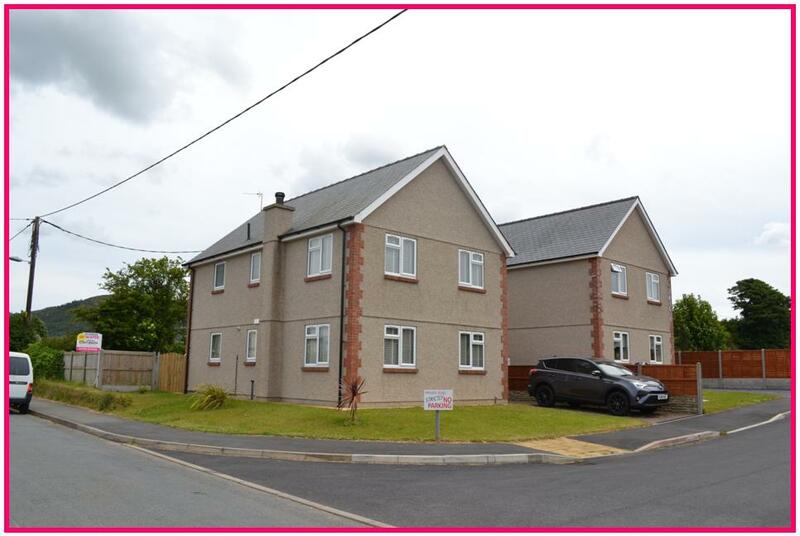 A superior detached four bedroom house built in 2006 by the present owner to a very high and exacting specification. Benefiting from being double glazed with oil fired underfloor heating to the ground floor and radiators on the first floor The property is very spacious and well proportioned throughout and can only be truly appreciated by carrying out a full inspection. Four double bedrooms two with en-suite facilities a luxury bathroom and to the outside there is ample parking with lawned gardens to the front and rear which enjoys far reaching countryside views. 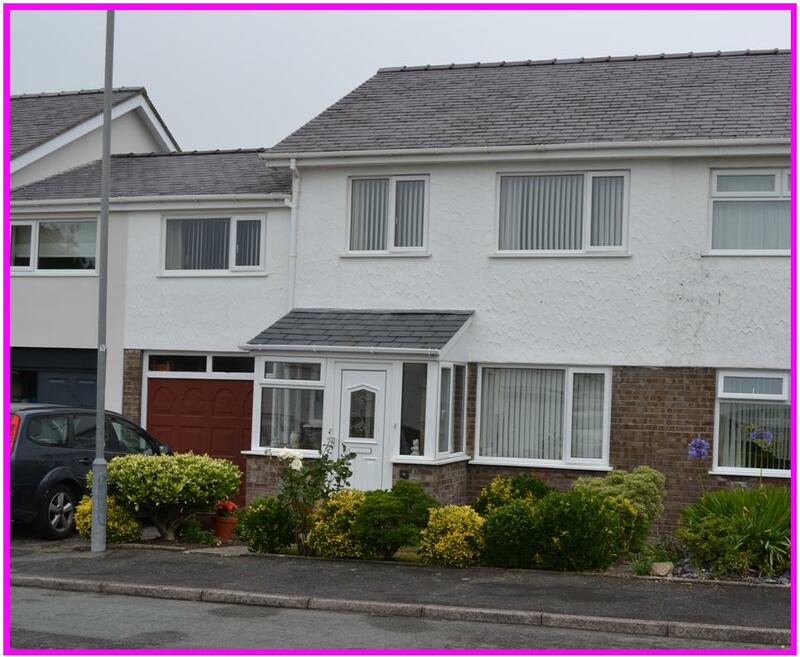 Semi detached three bedroom house on a popular residential estate, well worthy of inspection. Offering spacious accommodation with gas central heating and solid wood double glazed windows. Outside there is a lawned front garden and paved rear and side garden with workshop, timber shed and greenhouse. 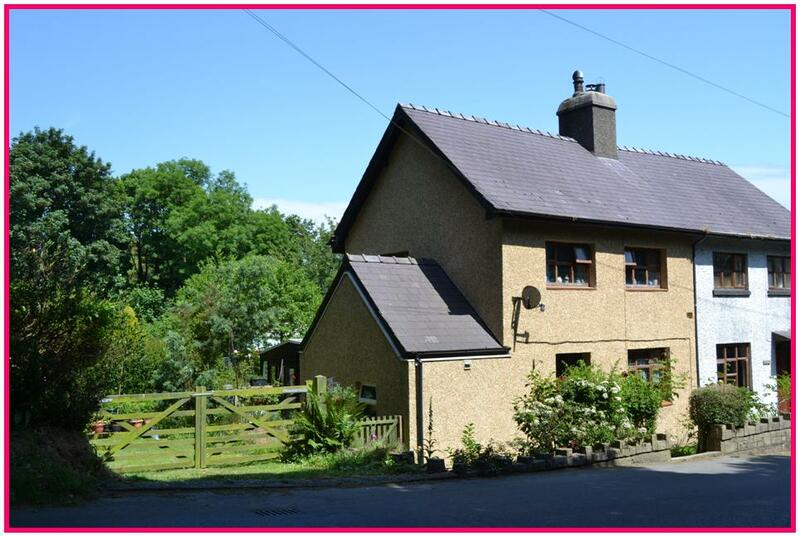 Outside -Front lawned garden * Rear & side paved garden * Workshop * Timber shed * Greenhouse. 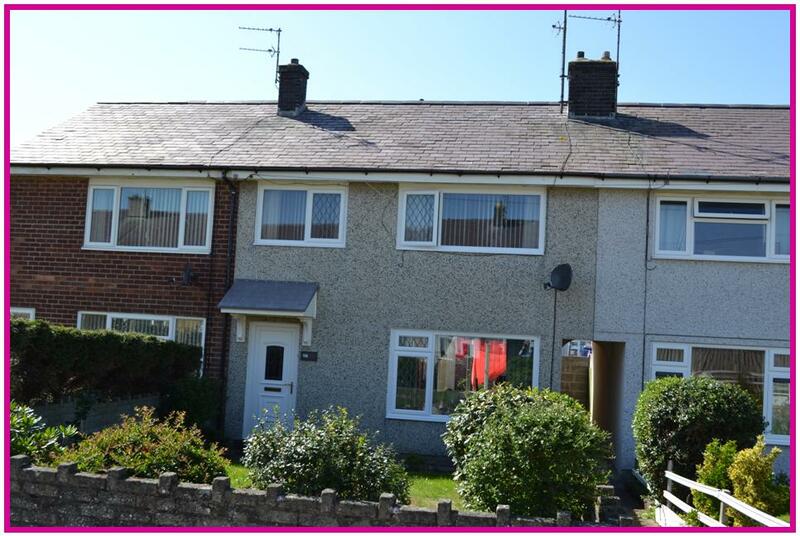 Extended linked semi detached house in good decorative order throughout, in a quiet cul-de-sac position. Benefiting from being double glazed and centrally heated with gardens to the front and rear, parking and a garage. Spacious four bedroom mid terrace house in excellent decorative order throughout, with modern fitted kitchen and bathroom. Benefiting from being double glazed and gas centrally heated. Outside there is a shared rear yard. The property must be inspected internally in order to fully appreciate the extent of accommodation on offer. 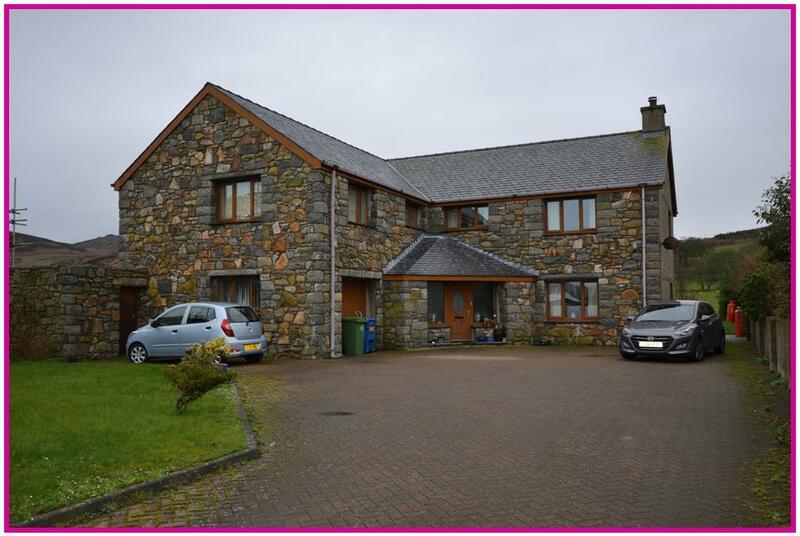 Craig yr Eryr is located in an elevated position above the village of Pistyll with spectacular sea and mountain views. A development of approximately ten luxury lodges is planned, on an already well established holiday park, ranging from 2 bedrooms to 4 bedrooms, with high quality fixtures and fittings. 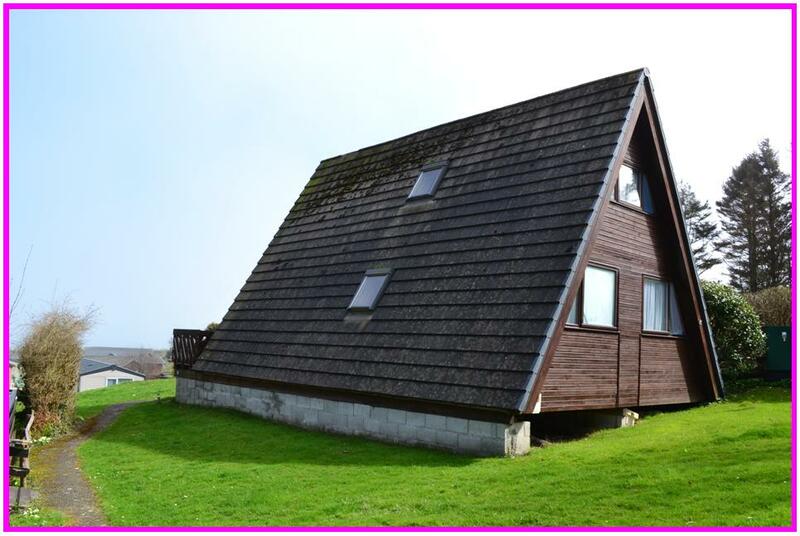 One three bedroom lodge has already been constructed and viewing is highly recommended in order to appreciate the standard of accommodation and location on offer. Outside-Private balustraded decked patio area. Mid terrace two bedroom house in a desirable area on the outskirts of the town with a terraced rear garden and raised patio areas, enjoying far reaching views over the marina. Benefiting from being double glazed to the front elevation. Ideal property for the first time purchaser. Outside - Front gravelled forecourt * Rear terraced garden with sitting out areas on different levels. Semi detached house in need of renovation and modernisation with two bedrooms and steps up to an attic bedroom 4.8m x 3.7m. To the rear is a long lawned garden. 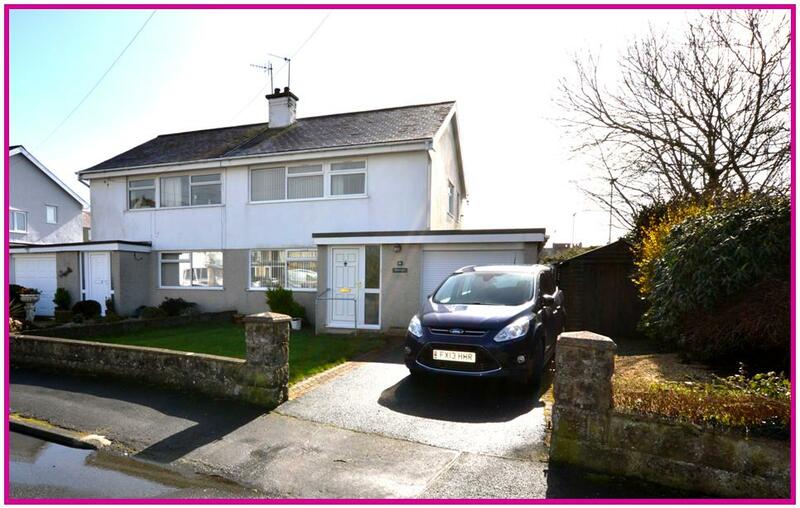 Two bedroom semi detached house set in extensive grounds on the outskirts of the village. Benefiting from having a ‘Stanley’ oil fired stove in the lounge which operates the central heating system. Outside there are lawned gardens to the side and rear with established trees, shrubs and a greenhouse. 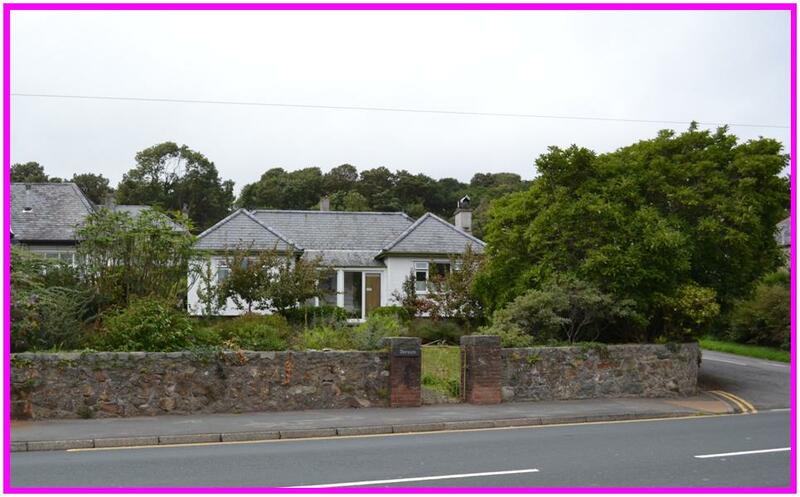 Outside - Front walled forecourt * Extensive mature garden * Greenhouse. 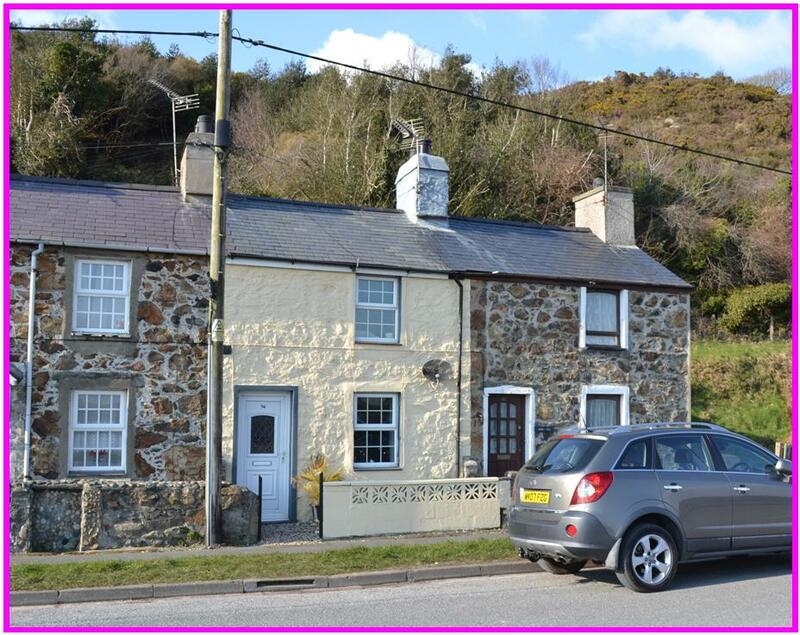 Sarn is a popular residential village at the heart of the Llyn Peninsula, an area of natural unspoilt countryside. 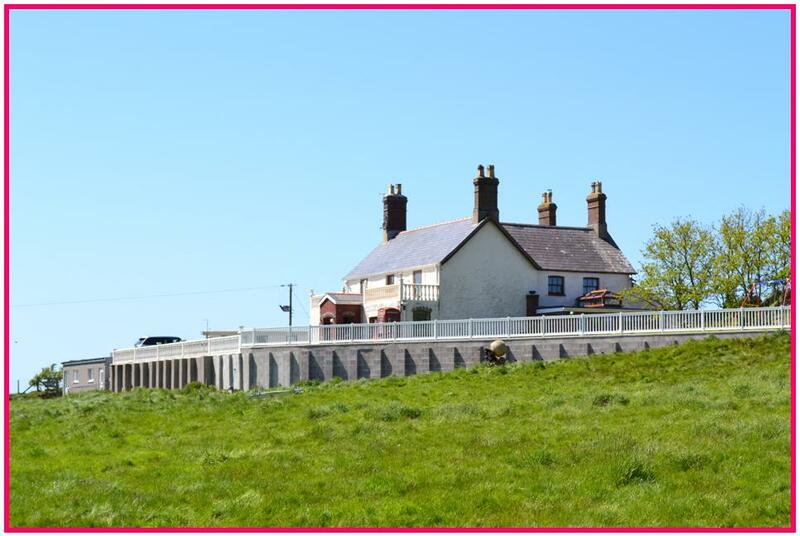 The popular seaside villages of Abersoch and Aberdaron are within easy travelling distance. Methlem is a substantial four bedroom former farmhouse, all with en-suite facilities, which has undergone an extensive programme of refurbishment by the present owner. Benefiting from being double glazed with oil central heating, a farmhouse style kitchen with fitted units and bi folding doors open out into the sun room with hot tub and direct access out onto lawned garden. Externally there is a range of stone and slate outbuildings all in varying degrees of repair suitable for several different ventures subject to the relevant planning permission. In all the property stands in approximately four acres or thereabouts (to be confirmed) In order to be fully appreciated a full inspection must be carried out in order to see the full potential. 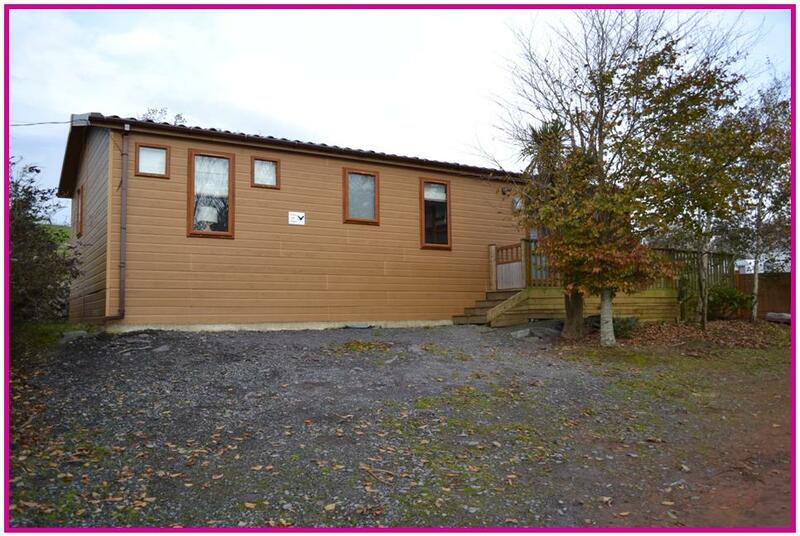 Three bedroom A frame timber lodge located on the very popular Hafan Y Mor Holiday Park, with far reaching sea views over Cardigan Bay towards distant mountains and within walking distance of Penychain beach. The lodge must be inspected in order to be fully appreciated. Ground floor - Lounge/Kitchen/Diner, Double Bedroom and Bathroom. First floor - Landing and 2 Bedrooms. Outside - Steps up to decked balustrade seating area with picnic bench. 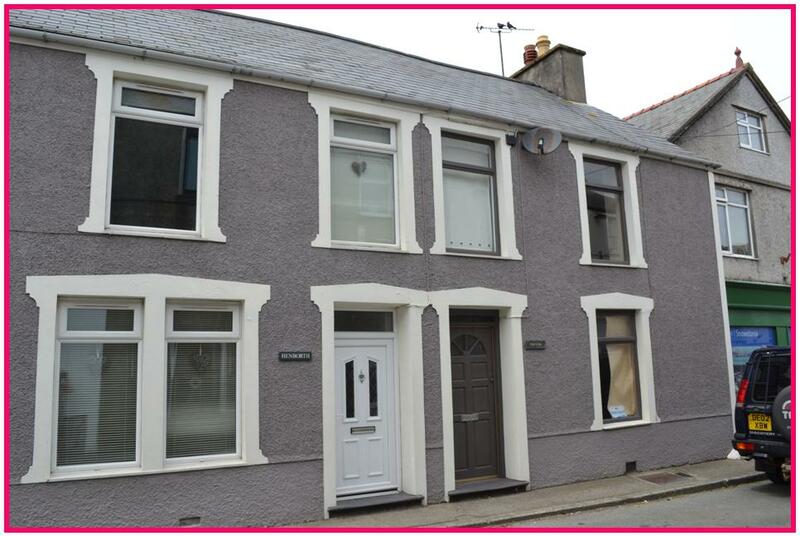 Mid terrace two bedroom house in good decorative order throughout. Benefiting from being double glazed with electric panel heaters, with several character features such as a large inglenook fireplace housing a multi fuel stove, deep window sills and exposed beams. Ideal property for the first time purchaser. Outside - Front forecourt with steps up to front door. * Rear slate slab yard. 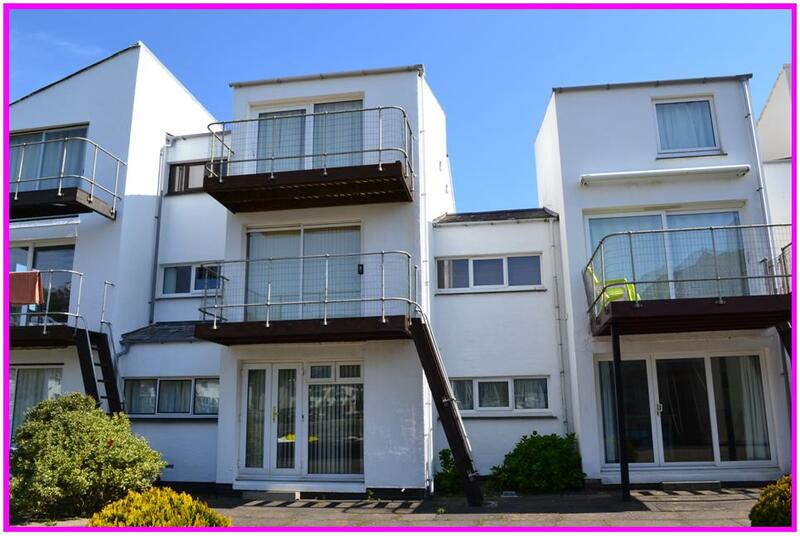 An opportunity has arisen to acquire a one bedroom ground floor apartment on this very popular well maintained estate. 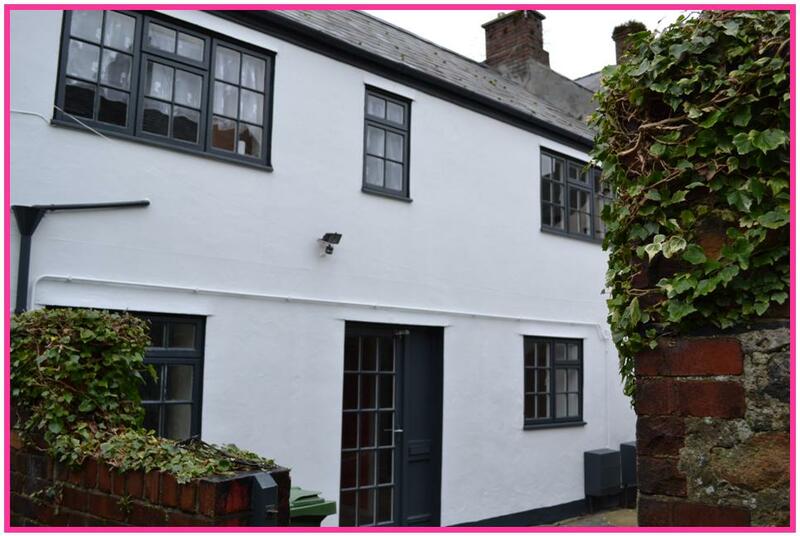 Number 56c is situated overlooking the picturesque harbour and benefits from being double glazed and in good decorative order throughout. 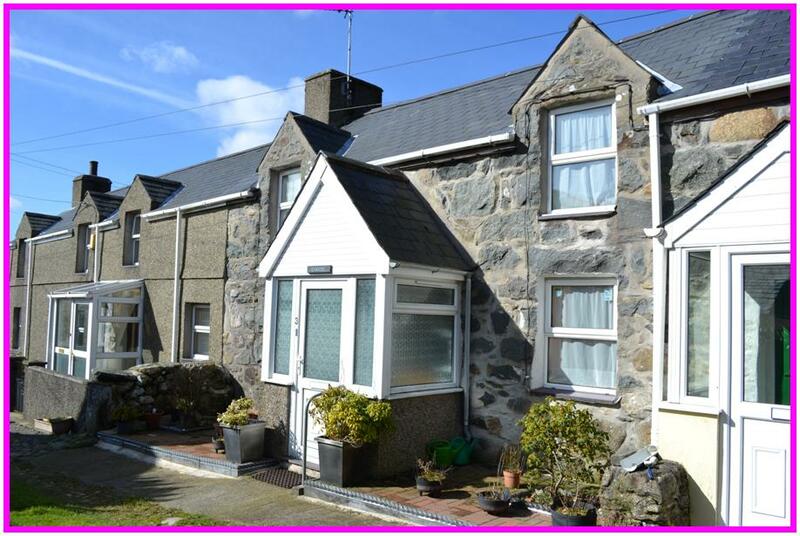 Accommodation briefly comprises:-Entrance hall * Lounge/Kitchen/Diner * Bathroom * Bedroom. Porthmadog is a popular town with both locals and tourists alike. 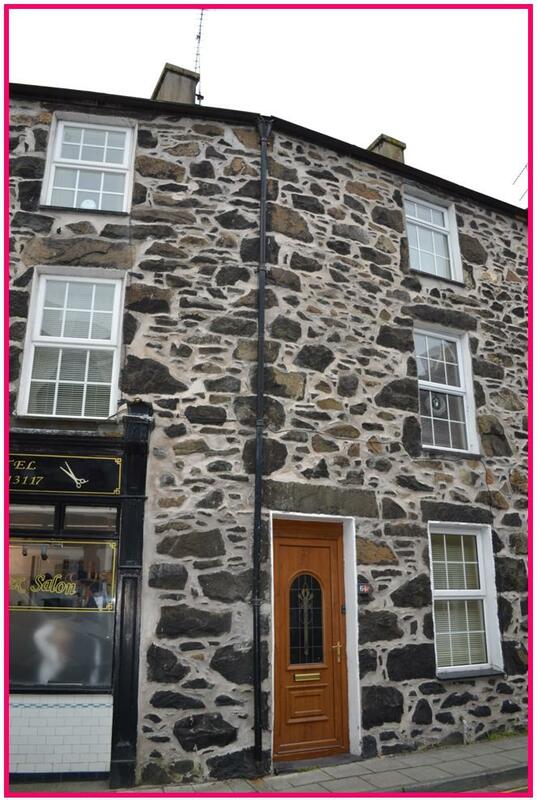 South Snowdon Wharf is situated adjacent to the world renowned Ffestiniog Railway, and within walking distance of the High Street amenities, restaurants, hostelries etc. 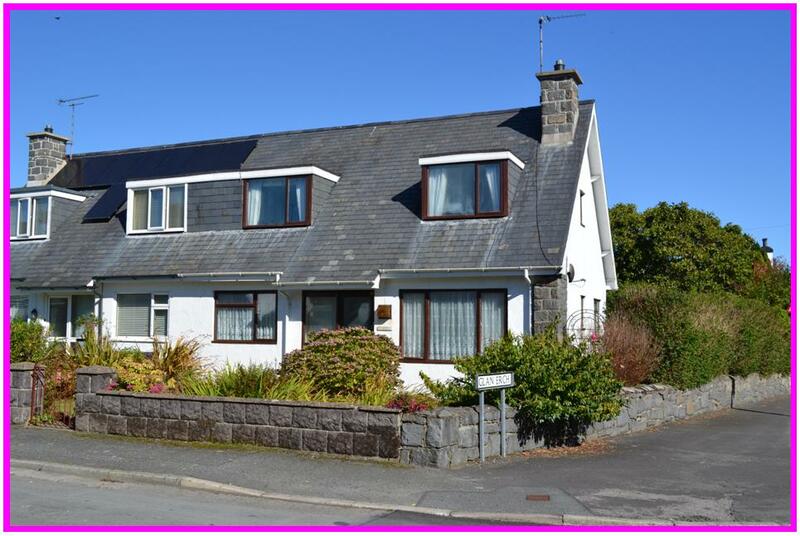 Annedd Wen is a substantial five bedroom end terrace family home situated in the centre of the village on the crossroads, ideal for commuting to Pwllheli, Porthmadog or Caernarfon. The accommodation is arranged over three floors and benefits from being double glazed with oil fired central heating. Outside there is a pedestrian access to the rear yard and there is also a private walled garden, ideal for sitting out or growing vegetables or having a barbecue on a sunny evening. Viewing highly recommended to appreciate the accommodation on offer. 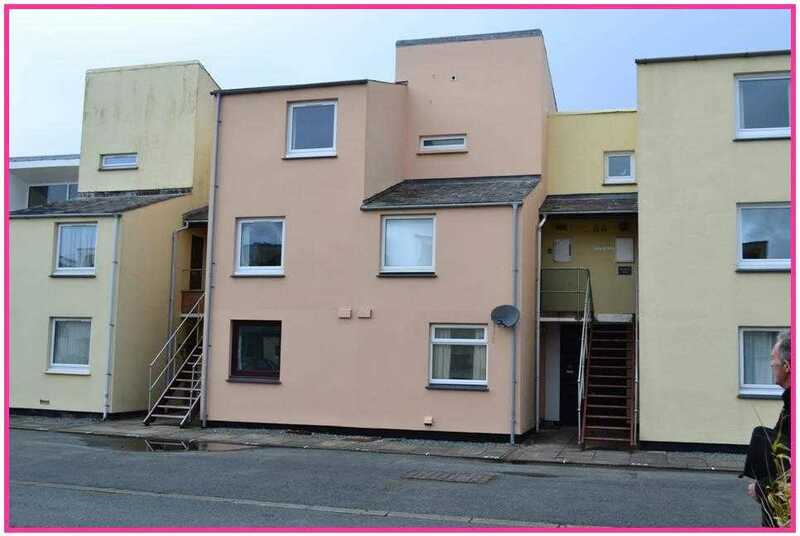 Superior two bedroom ground floor flat within walking distance of the town centre and benefiting from being double glazed and gas centrally heated. 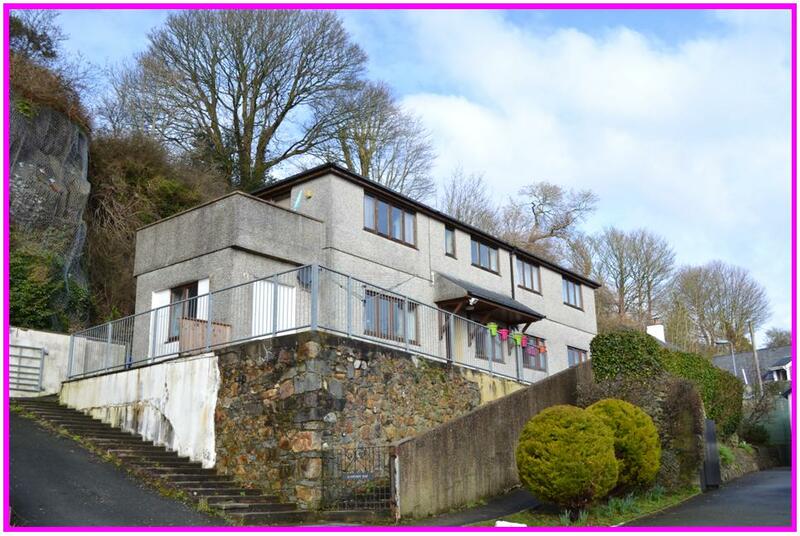 The property enjoys an elevated position with views over the town towards the marina and Cardigan Bay in the distance. Outside there is a paved front patio area with sitting out area. The extent of accommodation on offer can only be appreciated by carrying out a full inspection. 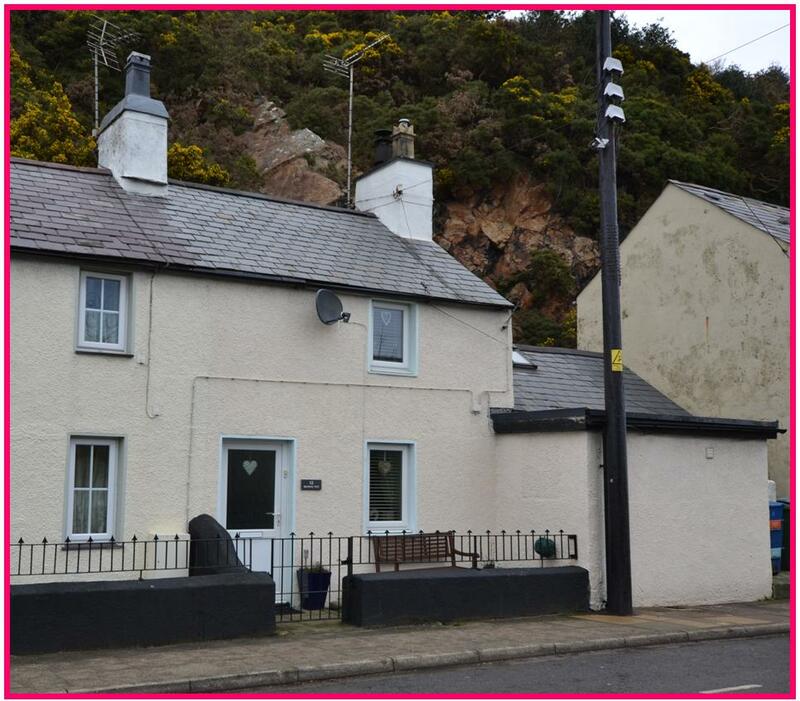 Rare opportunity to acquire a three bedroom ex local authority terrace house, in good decorative order throughout, and within such close proximity to the beach. Benefiting from being double glazed with gas fired central heating with an enclosed front and rear garden. Ideal family home. Newly constructed three bedroom detached residence, benefiting from being double glazed, centrally heated and fitted with solar panels. The property has been finished to a very high standard to the present owner’s specifications with top quality kitchen and bathroom furnishings and floor coverings throughout. Front side and rear lawned garden, garage and parking. The property must be inspected in order to be fully appreciated. Morfa Nefyn is a popular seaside village with both locals and tourists alike. 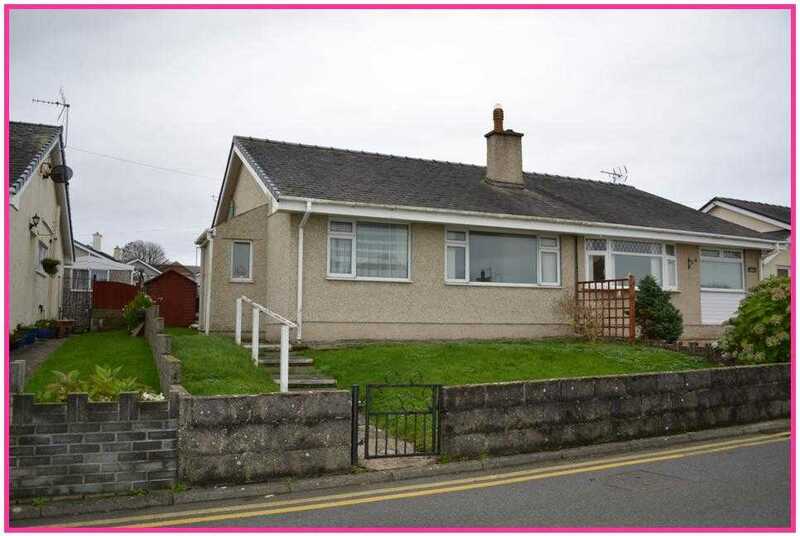 Rare opportunity to acquire a detached three bedroom bungalow, located in a very desirable location, on the periphery of the town. Double glazed with a newly fitted gas central heating system. The property has extensive mature gardens to the front and rear with the addition of a parcel of land on the opposite side of the road. Entrance porch * Entrance hall * Lounge * Dining room * Kitchen * Rear hallway * 3 Bedrooms * Bathroom * Toilet * Integral garage with vaulted ceiling.